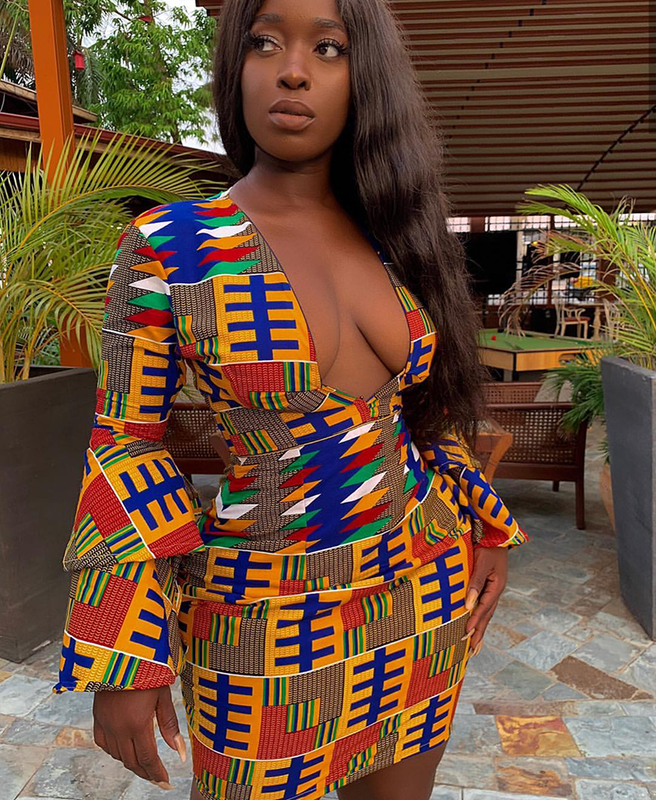 Just when you thought the world was getting over kente, the power of the cleavage just set it trending once more. 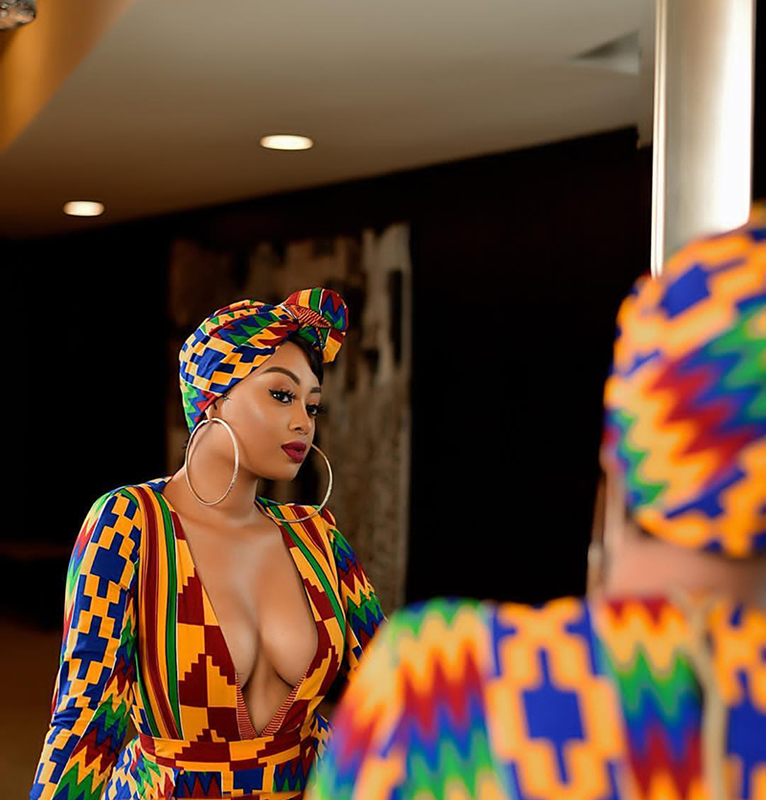 Three ladies, two dressed by US based Ghanaian designer Mimmy Yeboah and one celebrity Anitah Fabiola just shot up the market price for kente in their fabulous low neckline Kente dresses. 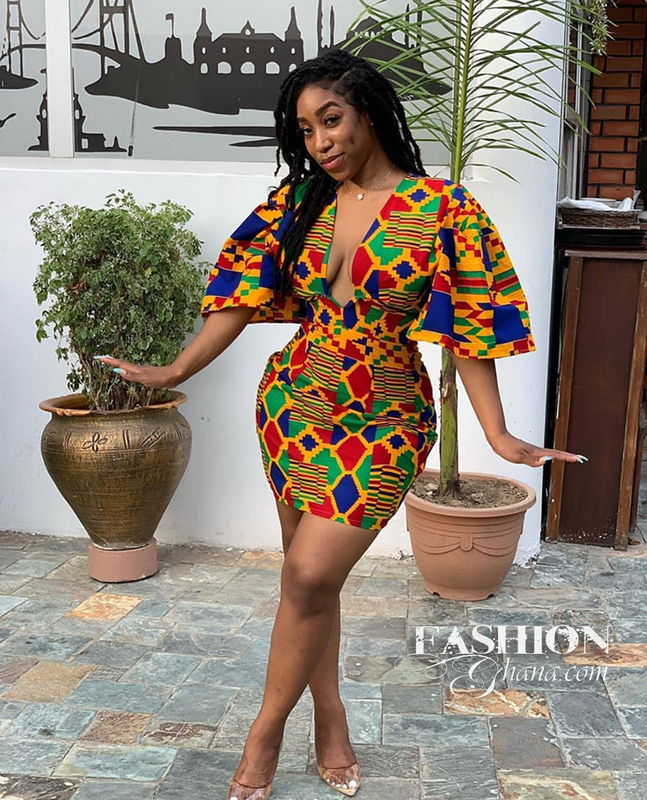 Was it a coincidence that two different dress makers happened to put together the same outfit at a similar time with one being a pencil skirt and the other a flair skirt or is in the copycat cased due to the timing. 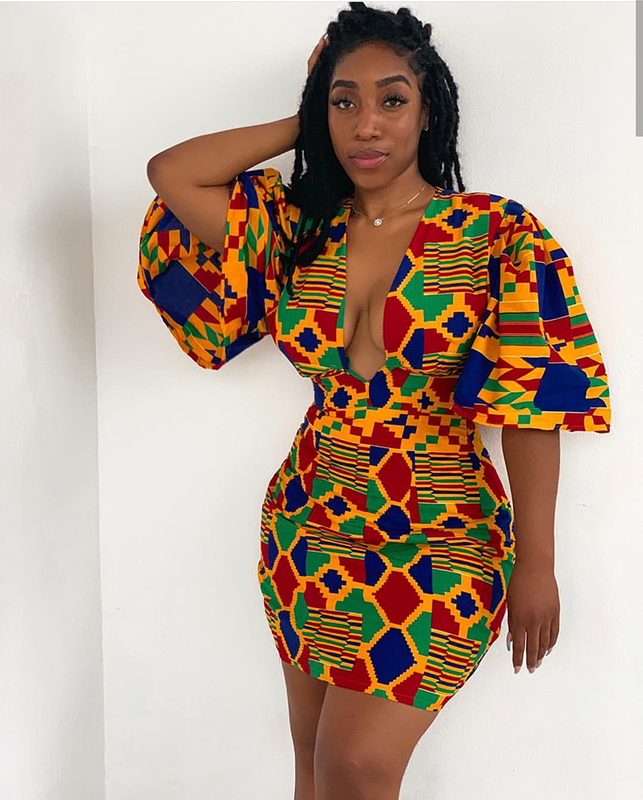 Which ever way the two ladies have the rest of the world begging to jump into kente again and their beauty is on fire. See the pictures below.